Have you heard? We have run out of the last block of the allocated IPv4 addresses! The Internet Protocol addresses such as 99.47.228.228 are about to be exhausted. Don’t worry, the Internet Engineering Task Force (IETF) has come up with IPv6. IPv6 is the successor of IPv4. This cousin of IPv4 is quite different from it. The transition from IPv4 to IPv6 is not going to be easy. Thus, the Ipv6 has been chosen to coexist with IPv4 for some time. Why have the IP addresses run out? Well, with the invention of smartphones and tablets many more users are able to be connected to the Internet. This has caused many IP addresses to be used up. It may come as a surprise to you, that IPv6 specification was released back in December 1998. Why are we still using that almost 99% overloaded IPv4? That is because the transition is very slow. ISPs and other world’s websites are gradually switching to IPv6. They still are trying to help users access all websites that have undergone a switch or not. So what is IPv4 and IPv6. 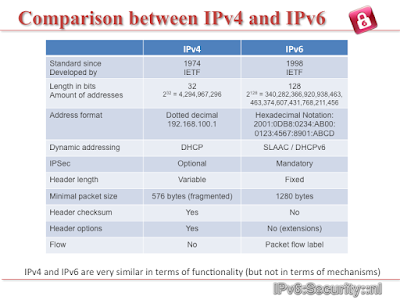 Let’s find out and learn more about the differences between IPv4 and IPv6. IPv4 or Internet Protocol Version 4 is used to identify devices on a network using an addressing system. It uses the 32-bit address scheme and allows 2^32 addresses. It helps you connect your devices to the Internet. It assigns a unique IP address to every PC, MAC, smartphone, or any other Internet-enabled device. It sends data from one computer to another through the web using a data packet across the network using an IP address. Without the IP address, the computers will not be able to send or receive any data from each other. The sixth revision of the Internet Protocol is called as IPv6. It is similar to IPv4 as it provides unique, numerical IP addresses to Internet-enabled devices. However, the difference is the utilization of 128-bit address. This means it can support 2^128 Internet addresses. Which is translated as 340,282,366,920,938,000,000,000,000,000,000,000,000 addresses. Now this is a very big number that will keep the Internet up and running for a really long time. 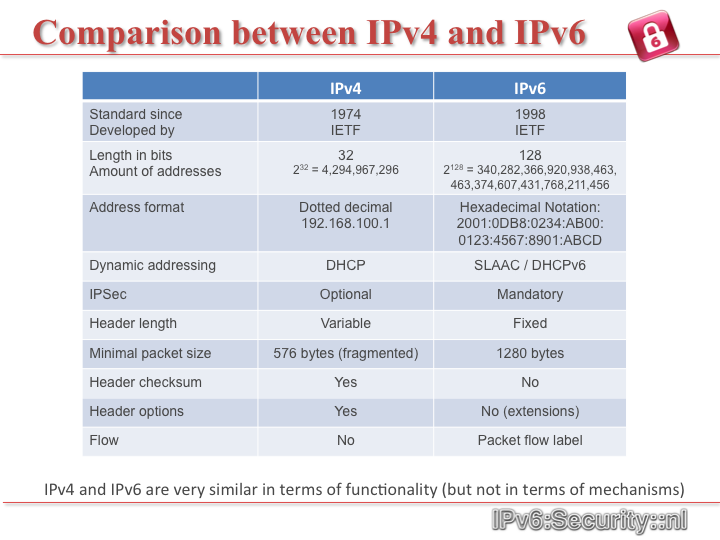 This is all about IPv4 vs IPv6. The transition from Ipv4 and IPv6 is going to take long. However, it has to be done sooner or later to let the Internet function smoothly. Till then, experts continue to make IPv6 better, remove bugs and overcome security issues. What is DHCP and How Does It Work? How can I change my network's WEP encryption key?